One of the more interesting books of the Old Testament is the book of Jonah. Children from preschool on study this tale. 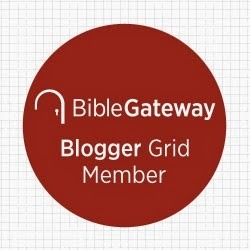 It is short, shorter than most of my posts (a mere four chapters, 1200 words in the NIV – substantially shorter than this post). It contains foolish disobedience, a great fish, a storm, obedience, repentance, more foolishness … what more could you want in a Sunday School lesson or as material for a sermon series? Even chapter four, although a little less familiar to many, makes for an excellent lesson. No adventure, but a worm, a foolish prophet, and a message from God about the value of people and his compassion. The book of Jonah deserves the attention it gets. This is an important book in scripture. The question I would like to raise is not one of value, or of the truth of the message, but one of genre. Is the genre of the book of Jonah history or or is it satire? The arguments I've heard for the book of Jonah as history are four-fold. (1) There is no obvious indication in the book that it is not intended as history. (2) The book provides details. "The word of the Lord came to Jonah son of Amittai." It uses the names of real places (Joppa, Nineveh, Tarshish). (3) The only reason to doubt Jonah as history is a desire to sidestep the miraculous element. The creator God is certainly capable of the miraculous. 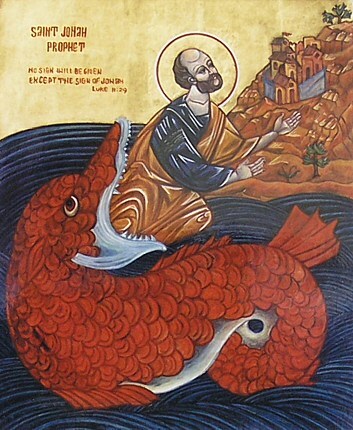 (4) Jesus refers to Jonah in his teaching. For some this is the trump that settles the matter. But it isn't this simple. The answer to the question of genre is not as easy as these arguments suggest. None of them provide a conclusive argument against the book of Jonah as satire, with a message for the reader even some 2500 years later. You can read the entire post, "Satire or History?" here. You also have the salvation of an entire society, which must be a myth. Later, you have the judgement on that society for reversing the positive volition, which would be a myth. Are there other biblical examples where entire societies have had this happen and it is myth in biblical parlance? When Jesus juxtaposed things like "Jonah and I" or "the blood of Abel and 70 AD judgment", if the Jonah side is myth, why wouldn't the Jesus side be a myth? If Abel is myth, was 70 AD really not Divine justice as most believers suppose historically? The 2 are juxtaposed, so if one is myth, why wouldn't both be myth? From a literary view. This leads me to think it is historic. The ancients produced a variety of literature, just as we do today. When we see fiction we don't therefore conclude that if one work is fiction that must mean that the stories on the front page of the newspaper can't have happened. Truth is communicated in a variety of forms, not all of them conveying history per se, but historical truth. In this case, Jonah (which I believe is satire) conveys the truth of how some Israelites viewed the Gentiles. The issue at hand is what events have to have actually happened within history for the Christian faith to be true. Whether Jonah actually lived or not is of no consequence to the truth of Christianity, but the bodily resurrection of Jesus as an event within history must have happened. Otherwise, we are of all people most to be pitied.